SARASOTA, FL - The Sarasota Sailing Squadron (SSS) will host the 70th Annual Labor Day Regatta September 2-4th. The signature event for the SSS, the regatta draws hundreds of competitive sailors from across the U.S. and Canada. The event draws nearly one thousand visitors to the area each year and substantially contributes to the local economy. This year more than 300 competitors are expected to participate. The regatta attracts sailors ages 8 to 80 and is open to all classes of sailing vessels. A large number of participants are junior sailors 8-18. Activities include five separate race courses, live music, barbeque, refreshments and awards ceremony. Registration includes parking, camping, various meals and t-shirts. Online registration, including the official Notice of Race and detailed information, can be found at http://www.regattanetwork.com/event/12401#_home. The SSS is a non-profit organization founded in the 1930’s by young adults who could not afford the higher dues of yacht clubs. It is considered a staple in the City’s history and boasts the tagline “The World’s Greatest Sailing Club”. The club consists of 800+ volunteer members. 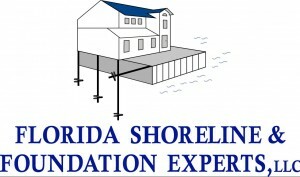 In conjunction with the Sarasota Youth Sailing (SYS) and the Luffing Lassies, the workings of the club encourage the sport of sailing, promote the science of seamanship and marine ecology, foster a spirit of good fellowship, courtesy, sportsmanship and allow adults and children to compete, locally, regionally and nationally.